Many times while first starting a project for a client we spend anywhere from a few days to a few weeks untangling the digital paper trail of previous domain registrars, hosting companies, email services, and more that the client had purchased. It’s not an uncommon occurrence that many small and medium businesses don’t have log ins to these accounts or even know what company their website is even on! It’s important to have clear, concise records on your online presence. Not only to save yourself money from annual charges for unused services but to also be able to protect your brand online. This becomes even more important when doing a website re-design as having to hunt down all of your accounts can also significantly increase the turnaround time. We’re going to cover the most common website services used, what they actually are, how to secure your assets and reduce costs. Most people have an idea of what a domain is but aren’t aware that it’s not the same as a URL or IP address. 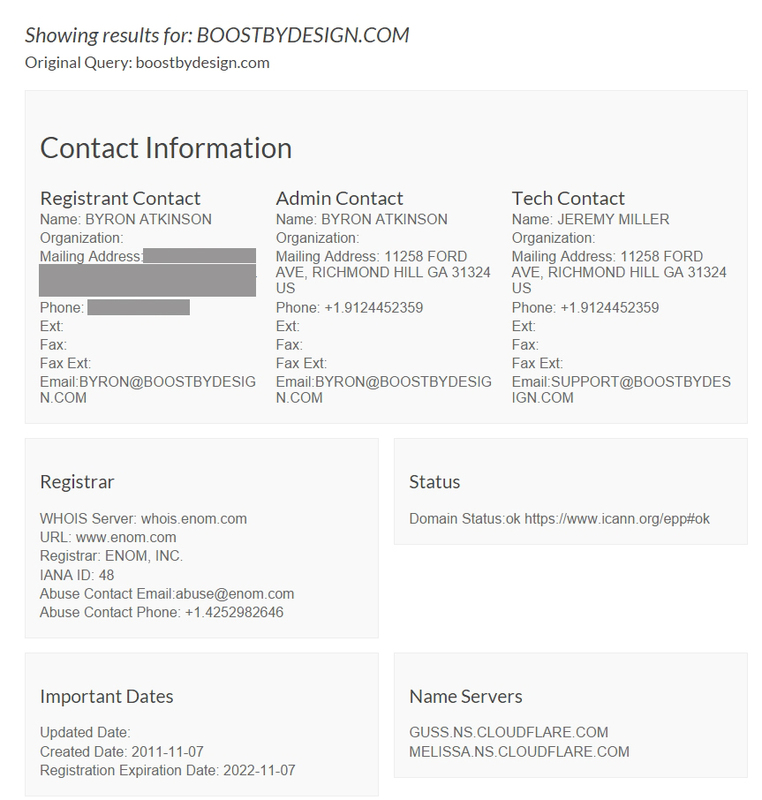 A domain is a human friendly string of characters such as “boostbydesign.com”. When you type that into your browser your computer actually looks up the registered URL, which contains many instructions on how to process information, including your IP address. Within your URL are something called DNS(Domain Nameserver) records. These are what actually parcel out different instructions to direct services such as where your website’s server is, pointing your visitors to an off-site ecommerce solution, or routing your email to a 3rd party email service like Rackspace. Domain Registrars then are the companies that you rent your domain name from such as GoDaddy, Namecheap, or eNOM. They hold these DNS records, although to add to the complexity your hosting company also maintains their own DNS on your account. Depending on how your account is setup they just may just tell the Domain Registrar to point everything to your hosting account then make modifications there. Hosting companies such as Bluehost, HostGator, or Godaddy are the companies that actually store, or host, the files for your website. While they’re called “web hosting” many companies offer many more services such as email and ecommerce stores. Some hosting companies will allow you to host more than one site on your account while others limit you to only one. As we just mentioned hosting companies maintain DNS records for your account as well so things can get tricky if you don’t know how they’re setup. Especially so if you’re using 3rd party services for things like email. Now the confusion can really start in full swing! Many larger companies offer a full range of services including domain registration, hosting, and email. You don’t have to sign up for all the services they offer. 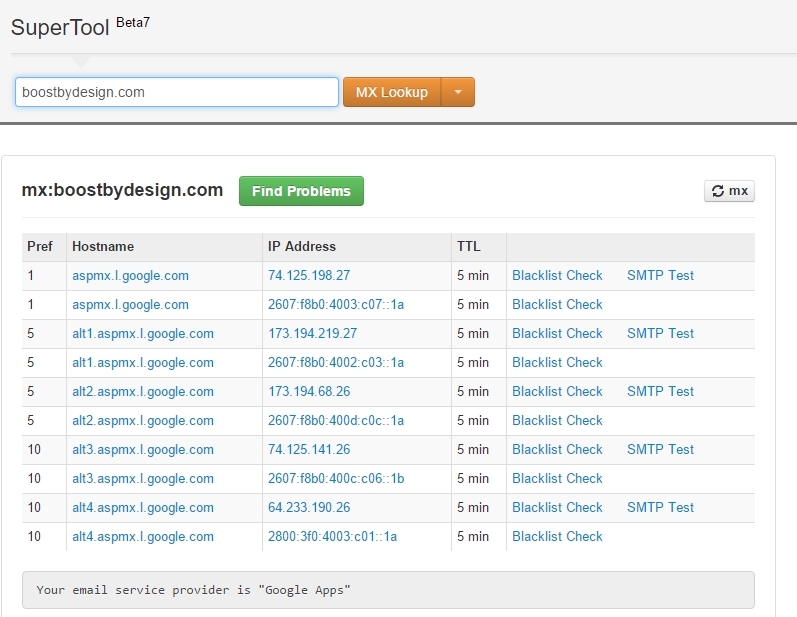 For example you can have your domain registered with GoDaddy but website hosted with Bluehost. It’s pretty common for larger companies to offer package deals for multiple services which you might not be aware of. That could wind up with your business paying for hosting with GoDaddy that includes free email but (since it wasn’t too clear contractually) your business also signs up for email service with Rackspace. That leaves your free email with Godaddy wasting away while you pay an annual fee with Rackspace for unneeded email services. In addition to this there are also smaller companies which are known as resellers. It works like this: Joe’s Local Web Design creates a reseller account with GoDaddy. This allows him to host multiple websites under his main account so he can “sell” hosting packages to his clients as a convenience. 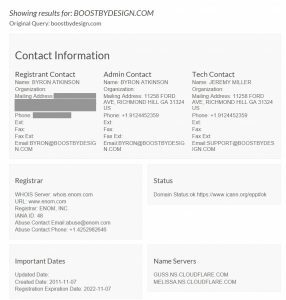 So Joe’s Local Web Design says he’ll design as well as host your site, it may even be white labeled, if you log into your account with Joe it will say Joe’s Hosting Package. In reality you’re being hosted on GoDaddy. Now if Joe also has a reseller account with Namecheap for domains, he’ll offer that service under his company’s name too. So you may think that your domain is registered with Joe and he’s also hosting your site but in reality your domain is registered with Namecheap and your site is hosted with GoDaddy. Now imagine the headache if Joe’s Local Web Design suddenly goes under! 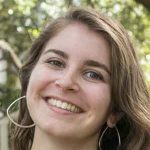 Who do you contact to get your site’s files? Who do you contact to transfer your domain name? You may think you own those through Joe but he’s not there anymore. Godaddy and Namecheap had a contract with Joe for a reseller account, not your business. They’ll kindly tell you to go pound sand. At this point most business owners will throw their hands up in the air, buy a new domain, contact the next web designer on the list and start all over. While in the moment it likely feels like a simpler, quicker solution it can have some large negative impacts. Other than not having a website for a bit of time and having to reprint any business cards and sale materials with your new domain name you are more also starting your business all over from scratch online. 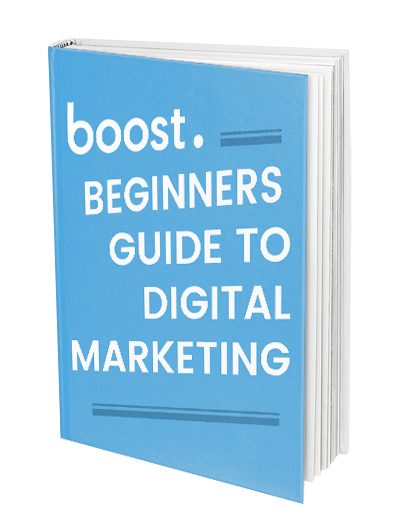 The amount of time a business has owned a domain name is a factor in your search results rankings. If any external sites were linking to your site’s pages they now will be a “404, not found”. That error is also very important to search rankings (hint: it can hurt). This essentially erases all the work, time, and money you spent on your now non-existent site. This is partially why we also suggest our clients open their own accounts for these services. It’s not as streamlined or “easy” as clicking a single button. Though, at the end of the day you will own your business’s online assets, not your developer. Full disclosure, when we design a website our contract does state that you agree to be maintained on our servers for 12 months. This is a little different from just hosting as we use our proprietary solutions to maintain your site’s health, updates, backups, and security. We also offer complete access to full website backups online (and stored offsite) so you always have access to your files. The first step is to get the contact information for your domain. To do this go to ICANN, who are responsible for maintaining and ensuring basically the whole internet and search your domain. Your Registrant and Admin contact information isn’t yours? Contact your developer or hosting company, requesting that they change it to your information. They should also provide you login access to your domain account. This will help ensure that you are associated with your domain. This helps should you need to move servers or transfer your domain to another registrar. If your developer or hosting company refuse those requests. Create an account with another registrar like Namecheap, eNom, or GoDaddy. Once created you can request to have your domain transferred to that new account. Contact your developer or hosting company again to ask for them to unlock your domain. They’ll send you a domain transfer authorization code. After you receive that you can then go to your new Registrar and fill out their domain transfer form. This one can get a little sticky. 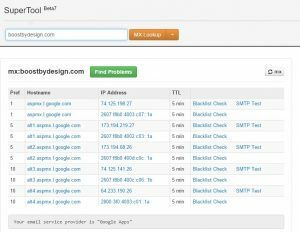 There’s a lot of different setups for your website hosting so this may take a little more sleuthing. Head over to Webhostinghero and enter your domain name. 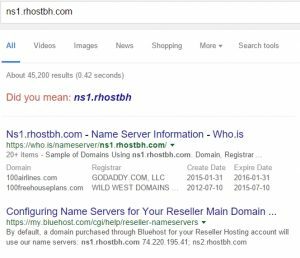 We can see the nameservers are listed as ns1.rhostbh.com and ns2.rhostbh.com. Type one of those into Google and start searching! 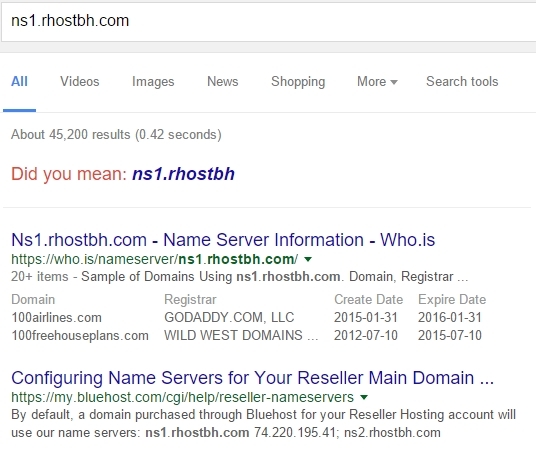 We can see by the second entry that these name servers are for Bluehost. Now you can contact your developer and ask them to add your email to the host’s contact profile. This will at least get your foot in the door should you ever need to speak with the hosting company. Another option would be to get access to your site’s cPanel. This is basically the master access for your hosting account. Many developers are very hesitant to give full access to a client. One wrong move and you can accidentally bring down their whole server and any other sites on it. It’s not necessary as getting your contact information on the hosting company’s account profile is usually good enough. If your results return with a host name like “mail.yourdomain.com”. That means your email is being hosted on site under the same account your website is being hosted. When re-designing a new site or moving hosting companies you’ll want to let your developer know. They’ll can bring along your old emails and setup your new settings. 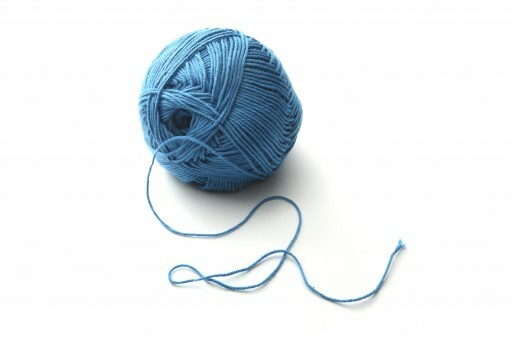 I hope that helps untangle the sometimes sordid knot of services for your websites. 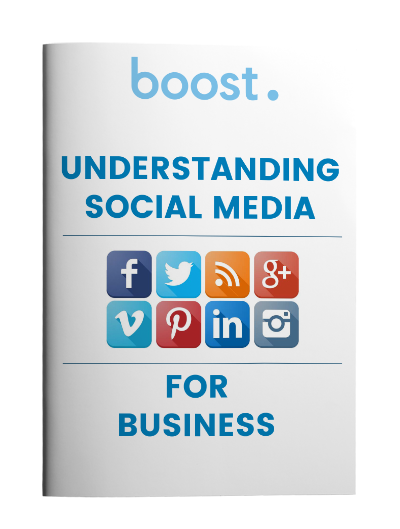 Securing or owning access to your online presence you can keep to your costs to a minimum. A best practice clients can do is maintain a doc with current domain registrars, hosts, and everything in between. Give us a call if you need help sorting out your accounts, we’d be glad to help!